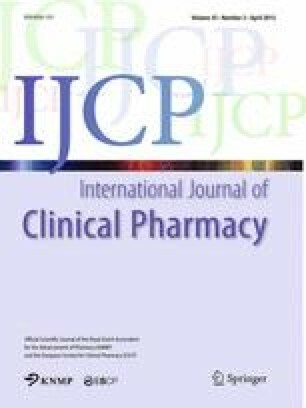 Objective To determine UK non-medical prescribers’ (NMPs) (supplementary or independent) current participation and self-reported competence in pharmacovigilance, and their perceptions of training and future needs. Setting Non-medical prescribers in health care in the United Kingdom. Awareness of and participation in the Yellow Card Scheme (YCS); attitudes towards ADR reporting; strategies to encourage reporting; pharmacovigilance training; and demographics. The sample comprised nurse (n = 912) and pharmacist (n = 2,439) NMPs in the UK. Main outcome measures Self-reported competence in pharmacovigilance, knowledge of and participation in the YCS, attitudes towards ADR reporting; strategies to encourage ADR reporting; pharmacovigilance training during NMP training. Results Six hundred and thirteen responses were received giving an overall response rate of 20.4 %. Response rates for nurse and pharmacist prescribers were 32.2 % (n = 293) and 13.1 % (n = 320) respectively. Three hundred and fifty-nine respondents (58.6 %) had submitted a Yellow Card. Although the majority of respondents (70.4 %) felt competent in pharmacovigilance, a third (34.2 %) said they needed further training. Respondents reported a positive attitude towards ADR reporting, yet only a minority (22.9 %) correctly answered factual questions about the YCS. Approximately a third of respondents (35.6 %) “couldn’t remember” if pharmacovigilance was covered in their prescribing training. Publicity and education were commonly suggested measures to enhance contribution to the YCS. Conclusion While NMPs report participation and competence in ADR reporting, there are several key issues to consider including the need for further training and support to optimise their role in pharmacovigilance. We acknowledge the contribution of the following organisations to recruiting nurse and pharmacist prescribers: Association for Nurse Prescribing; NHS Education for Scotland; Centre for Postgraduate Pharmaceutical Education; Northern Ireland Centre for Pharmacy Learning and Development; Welsh Pharmacy Board; National Prescribing Centre; and Royal Pharmaceutical Society. We are also grateful to those nurse and pharmacist prescribers who participated in the research. The UK Medicines and Healthcare products Regulatory Agency (MHRA) funded this research. Meyboom RGB. Data assessment in pharmacovigilance. [cited Sept 2011] http://www.ikev.org/haber/farmakovijilans/Meyboom%20Data%20Assessment.pdf. Medicines and Healthcare products Regulatory Agency. Yellow card, helping to make medicines safer. [cited Sept 2011] http://yellowcard.mhra.gov.uk/.